Van Cott's Nursery was started in 1938 by Kermit Van Cott. At that time, work consisted mostly of tree work and orchard trimming. Over time, Kermit also began offering residential and commercial landscaping, whitewashing farmer's barns and he began growing his own plants. Kermit was frequently called upon by the county, local banks and many others for his skills. In 1975 Kermit and his wife Ruth opened Van Cott's Garden Center in Hallstead. They were aided by their sons Forrest and Cooper for many years. After graduating from Penn State in 1984, Kermit's son Cooper took over the landscaping business as well as pitching in at the Garden Center. In 2000 Kermit retired, and the Garden Center was closed. Cooper inherited many of Kermit's customers as well as cultivating many of his own , doing work for Allied Signal in Montrose, and the Church of Latter Day Saints in Susquehanna. Since then Cooper has continued to grow the company, collecting clients from as far away as Harrisburg, Painted Post and Wasco Lake, NY and Dingmans Ferry, PA.
Van Cott's Nursery and Landscaping is proud to have been a part of a number of charity and donated projects including work for the towns of New Milford and Montrose, the Susquehanna County Court House, the Harford Fair and many churches. In 2012 Cooper helped a senior at Elk Lake High School, Lacey Cook, landscape a park in her home town for a senior project. She did a wonderful job, beautifying her town for years to come. Van Cott's Nursery and Landscaping also volunteered with Bancroft Bible Camp in Kingsport, Tennessee. 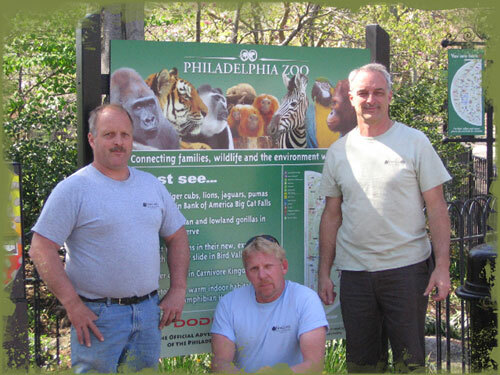 Van Cott's Nursery has worked on projects featured on The Bronson Pinchot Project aired in 2012 and 2013. Today, Van Cott's Nursery and Landscaping does everything from plantings to fencing, water gardens and more. Check out our services page for a complete list of what we do! 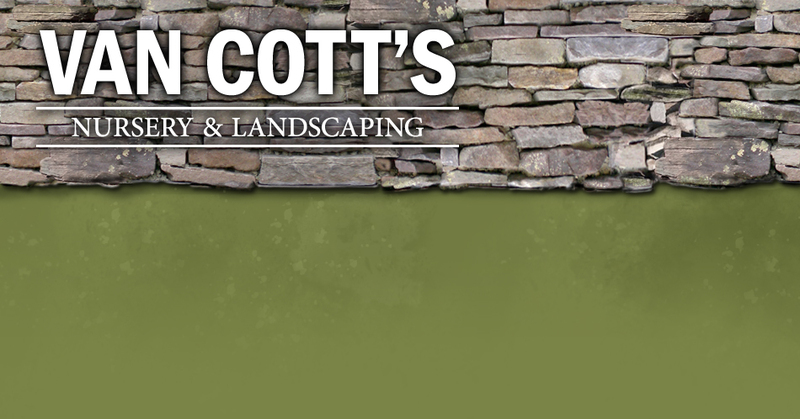 About Van Cott's Nursery & Landscaping. From Left to Right: W.Cooper Van Cott, Mark McHenry, a great friend and asset to the company & Forrest Van Cott, whom we can always depend on. The Kermit H. Van Cott Horticulture Scholarship, in conjuction with the Community Foundation, is awarded each year to a local High School Student planning to study horticulture, botany, forestry, or agriculture following high school. To find out more, visit the Community Foundation.